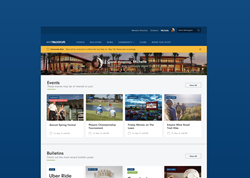 My Trilogy Life platform provides a connected experience for residents of its 55+ and all-ages resort communities. 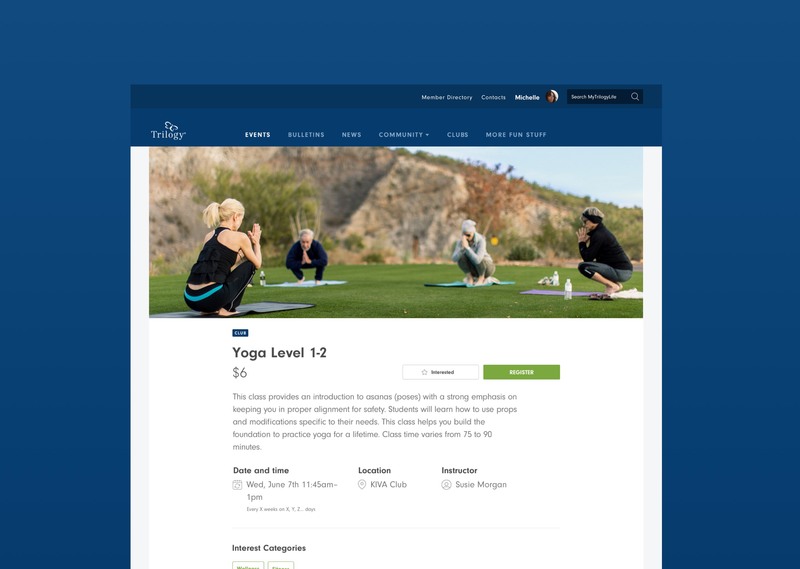 My Trilogy Life platform for 55+ and all-ages resort communities. The Trilogy brand from Shea Homes continues to evolve the active adult community experience, providing premium living that brings together freedom, wellness, and connection. In support of this promise, Trilogy recently tapped Engine Digital, a digital consultancy in New York City and Vancouver, to reinvent its My Trilogy Life platform. My Trilogy Life is a private and secure, personalized, web and mobile platform that enables members to connect, explore, and engage online. The new My Trilogy Life was designed with specific attention to the needs of residents of Trilogy’s 55+ and all-ages resort communities. It brings together a feature set that enables social connection and interaction between neighbors, while adding functionality that extends an already exceptional real-world experience online. This includes a searchable member directory, events calendar with registration capabilities, a multi-community bulletin board, community news, clubs, and much more. The improved feature set was a result of user research conducted across Trilogy’s communities through interviews, surveys, and data analysis. The design of the platform makes it simple and easy for new users to become acquainted with the product and its feature set. 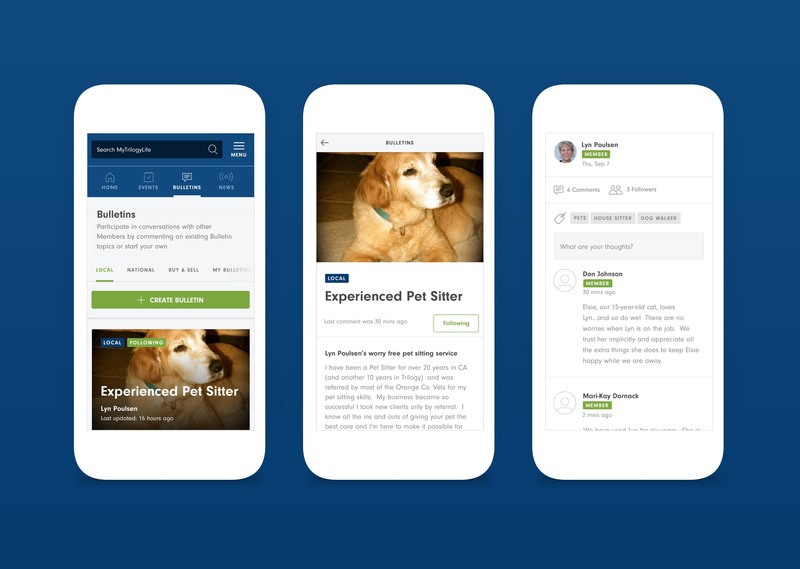 Through clean typography, high-contrast colors, and intuitive UX and UI design, Engine Digital was able to deploy an accessible digital product that provides users with a high level of usability in every interaction. 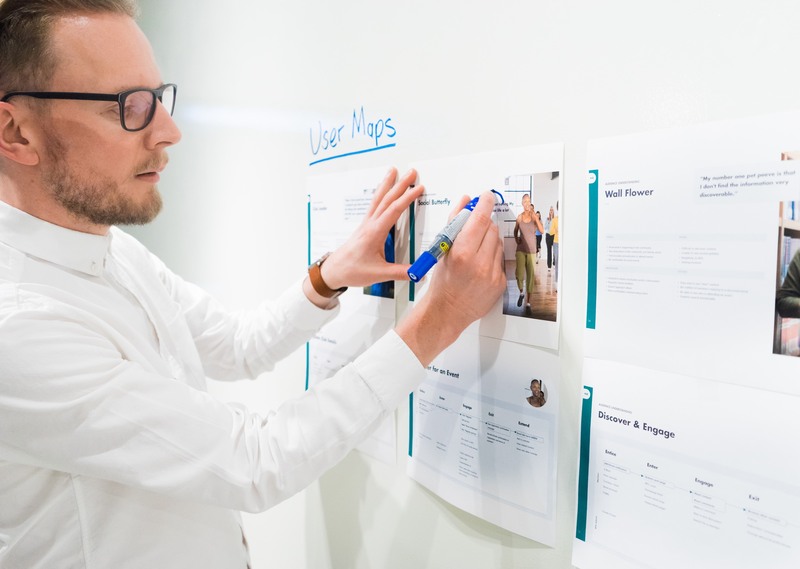 "Designing for a mature audience means thinking carefully about accessibility and usability," stated Peter Pimentel, Associate Design Director at Engine Digital. "While this audience today is incredibly savvy when it comes to mobile, tablets, and using the internet to accomplish daily tasks, we wanted to make sure we provided an experience for Trilogy residents that was designed specifically for their unique expectations and use cases." The new My Trilogy Life platform replaces a previous version also built by Engine Digital. The all-new platform was developed as a custom web application built on the Laravel PHP framework and designed to work seamlessly across all screen sizes and devices – from smartphones to tablets and desktop computers. "The new My Trilogy Life supports the trend of traditional businesses, like the homebuilding industry, factoring digital products into their customer experience strategy," stated Ryan Opina, VP Strategy at Engine Digital. "This is a higher level of digital maturity, and a means to create stronger and more rich customer engagement over the long term. Creating software as a means to connect with customers, in this case residents, shows a clear commitment to the future." Behind the scenes, My Trilogy Life also provides each community with an administration dashboard for easy interaction with residents, and the ability to manage and update content across the platform. 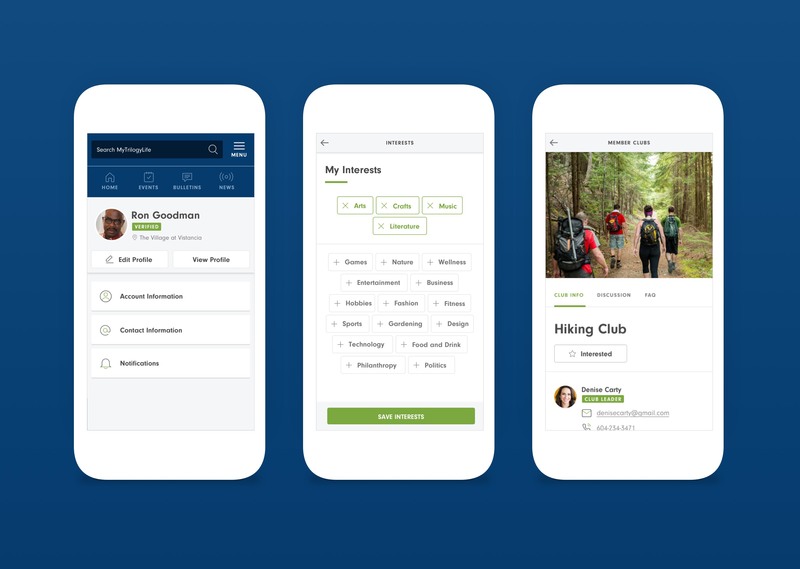 Admin features include an email newsletter creation and distribution tool, community alerts, mailroom updates, event management, and access for club leaders to manage community club pages, members, and registrations. "The new My Trilogy Life brings a much needed update to both the resident experience and the back-end management side of the platform. Through workshopping and collaboration, we were able to work closely with the Engine Digital team to clearly understand the expectations of our residents, and our own needs in making this a truly valuable part of the Trilogy business," stated Ben Keilholtz, Vice President, Marketing & Sales, BlueStar Resort & Golf, which manages the hospitality experiences within the Trilogy communities. Engine Digital has been a digital strategy, user experience, design, and engineering partner to Shea Homes and its Trilogy brand for over ten years, having designed the previous My Trilogy Life once before. This latest deployment is an example of agency-client collaboration and both Shea and Trilogy’s commitment to digital product as part of their own business strategy. Engine Digital is a New York City and Vancouver based digital consultancy, product design, and engineering studio. 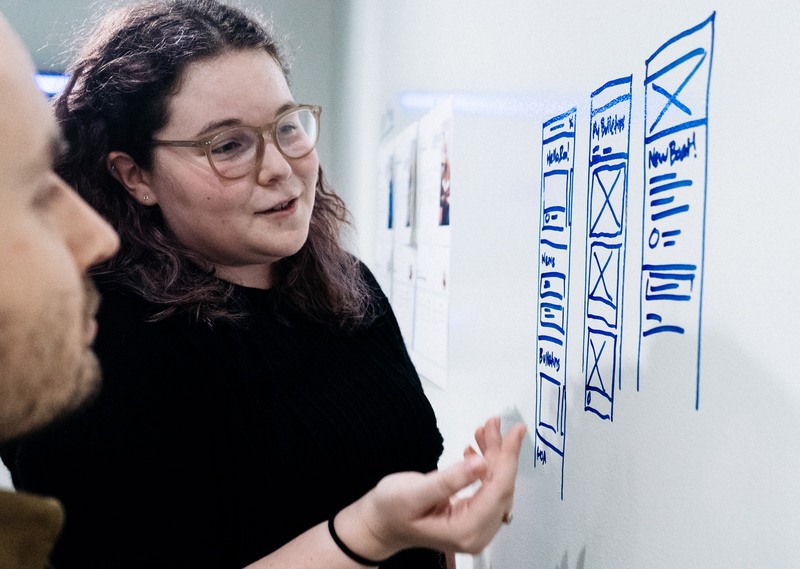 The agency’s mission is to help ambitious organizations invent their future through better customer experiences that span web, mobile, and emerging digital channels. Founded in 2002, Engine Digital is a trusted partner to some of the world’s most recognized brands including Google, adidas, Pirelli, Lululemon, and the NBA. For more information, visit: http://www.enginedigital.com. Trilogy is part of Shea Homes, America's largest privately-owned new home builder, primarily building mid-to-high-end homes in Arizona, California, Colorado, Florida, Nevada, North Carolina, South Carolina, Washington, and Texas. As part of J.F. Shea, founded in 1881, the organization has participated in 3 of the US’s top 10 construction and engineering achievements of the 20th century—the Hoover Dam, the Golden Gate Bridge, and the Interstate Highway System. For more information, visit: http://www.sheahomes.com and http://www.trilogylife.com. My Trilogy Life bulletin content on mobile devices.My Trilogy Life bulletin content on mobile devices. My Trilogy Life team members collaborate on the wireframe process.My Trilogy Life team members collaborate on the wireframe process. 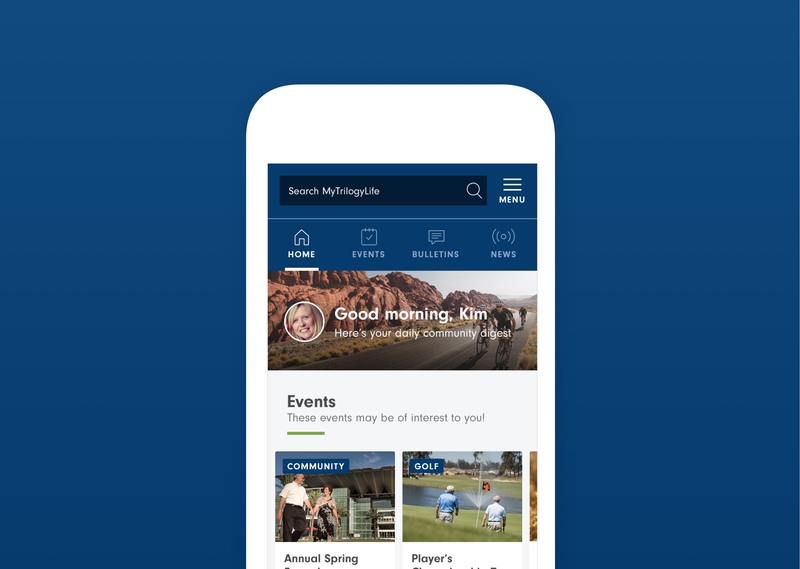 My Trilogy Life platform, mobile-optimized for 55+ and all-ages resort communities.My Trilogy Life home page on mobile. My Trilogy Life platform delivers community events to residents.My Trilogy Life event details shown in desktop layout. User journey mapping process for My Trilogy Life Platform.User journey mapping process for My Trilogy Life Platform. My Trilogy Life personalization features deliver tailored content to residents.My Trilogy Life personalization features on mobile.